This section contains only a few of a wide range of services and types of help that are available. Please check the national web site welfare section for full details . We support members in a variety of ways mainly through confidential advice.This section contains only a few of a wide range of services and types of help that are available. Please check the national web site welfare section for full details and financial assistance in the form of grants. For example we can help with sorting out finances, advise on benefits or put members in touch with another organisation that can help. A grant could be made, for example, to assist with household bills, ease debts or help with the cost of a much-needed break. We can often increase the financial support available by collaborating with other grant making organisations. The difficult circumstances confronting members who need our help are rarely the result of a single problem. The grants we give often provide a vital breathing space whilst we work with other parts of UNISON and other agencies to find the varied and longer term solutions required. If you, or a colleague you know, is in need and you think we might be able to help with a grant, please contact your branch welfare officer or branch secretary in the first instance. They will help you to complete an application for assistance form. The breaks are delivered in partnership with the Family Holiday Association, a national charity that specialises in providing holidays for families in need. For example, they can arrange a stay in self-catering accommodation in a chalet or caravan at selected UK holiday centres. 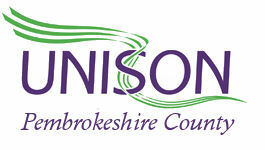 UNISON's award winning Croyde Bay holiday village in Devon is a popular destination with members. Alternatively, you can organise accommodation of your own choosing in the UK. They are designed to provide a holiday for members and their families who are experiencing difficult circumstances and who have not had a holiday for at least four years. Although the holidays are normally for one week we recognise that family circumstances sometimes mean a shorter break of three or four nights is preferred. We can also help with day trips or leisure outings. Our get well breaks are designed to support any members with or without children, or their dependants, who are recovering from illness (including stress), accident or an operation and who are not in need of nursing care. We recognise that ill health can sometimes impact on the whole family and that there will be occasions when it will be beneficial for the person who is ill and the whole family to get away together. The service is flexible depending on your needs with a choice of accommodation such as hotels and guest houses or traditional convalescent facilities and shorter breaks. We can provide respite breaks for carers with day to day responsibility for a disabled dependant and breaks following bereavement of a partner or dependant child. Breaks are also available for those with a terminal illness.